70 years after his first appearance, we find Tex chased by U.S. Marshals and bounty killers, in the new issue of a new series, fast and cracking like a gunshot, with the unknown episodes of our hero’s early years! 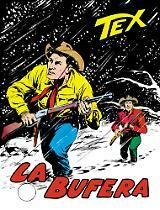 In this initial episode, by Boselli & De Angelis, we discover the background to the first, historical Tex album, "Il Totem Misterioso", where the hatred between Tex and the shady Coffin began, and the tragic story of the beautiful Native woman, Tesah, with gunfight, ambushes, and breakneck gallops on the back of the young horse, Dinamite! PLEASE NOTE: This variant cover limited edition is not for sale. 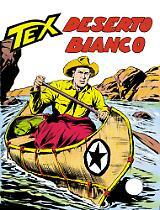 You can find it only in the Tex Willer Wanted Box.